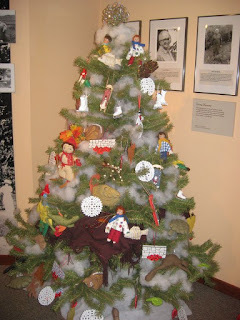 A few years ago, my book Under the Snow was featured in the Festival of Trees at the Concord Museum in Concord, MA. To celebrate the holiday season, I’m going to leave you with a photo of that gorgeous tree. For the next couple of weeks, I’m looking forward to plenty of fun family festivities. But I’ll be back on January 5. I have a feeling that 2018 is going to be a fantastic year.